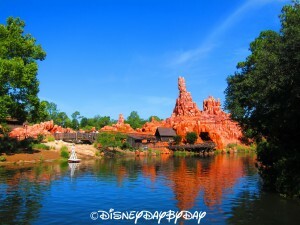 Hold onto those hats and glasses, you’re about to embark on the wildest ride in the wilderness! 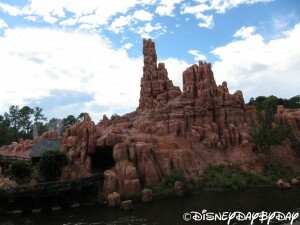 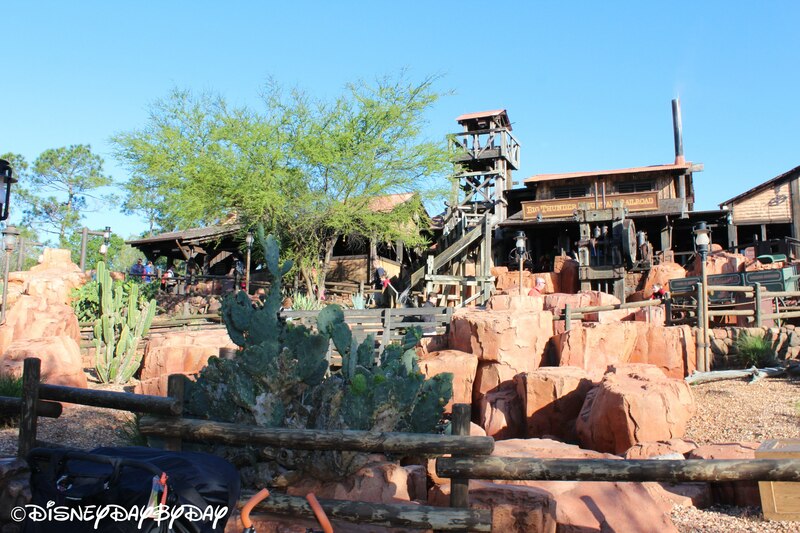 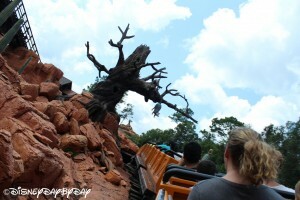 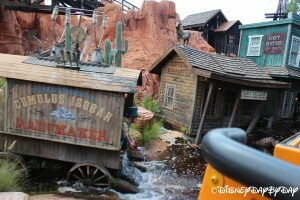 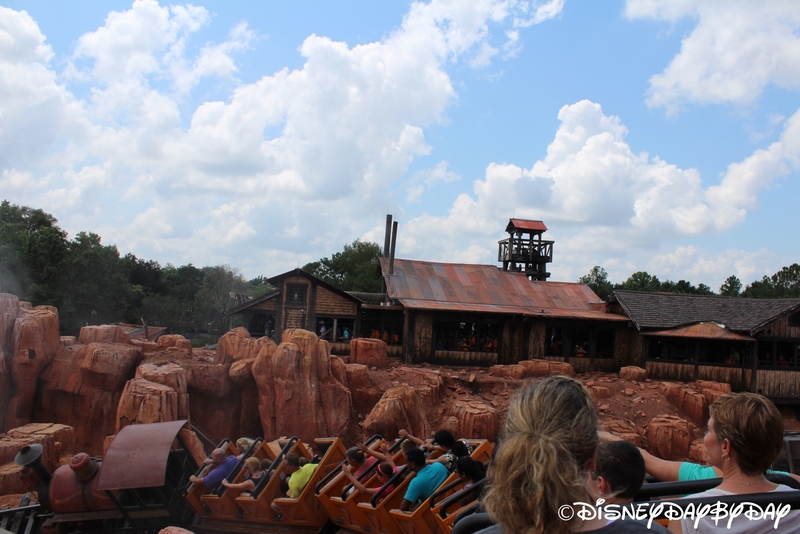 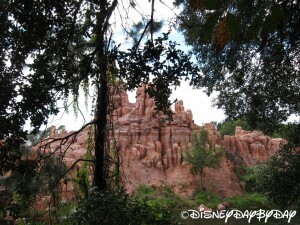 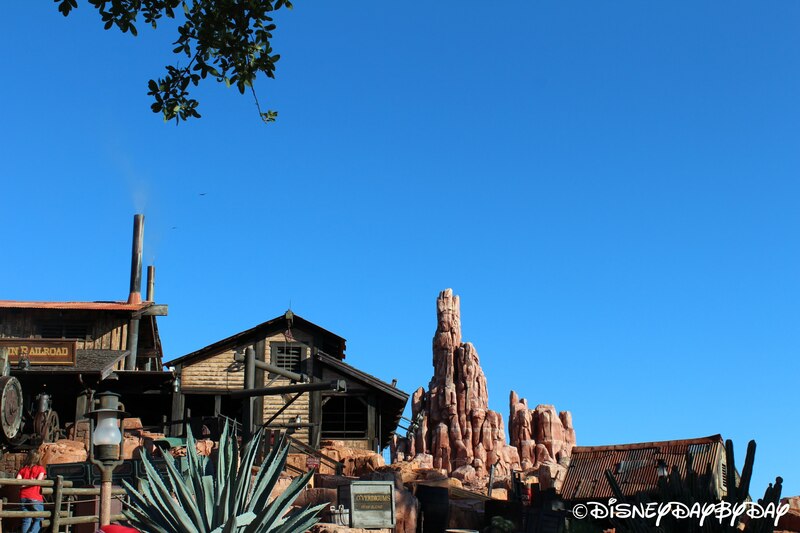 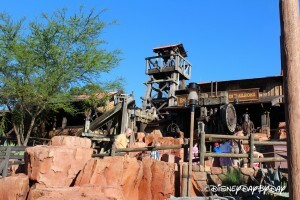 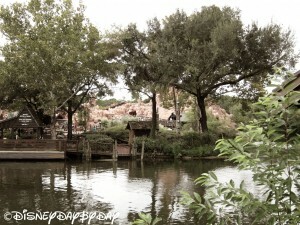 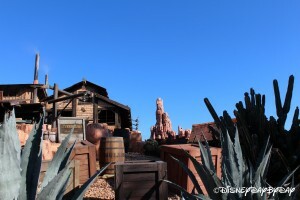 Big Thunder Mountain Railroad is a mild coaster full of twists and turns and Wild West fun. 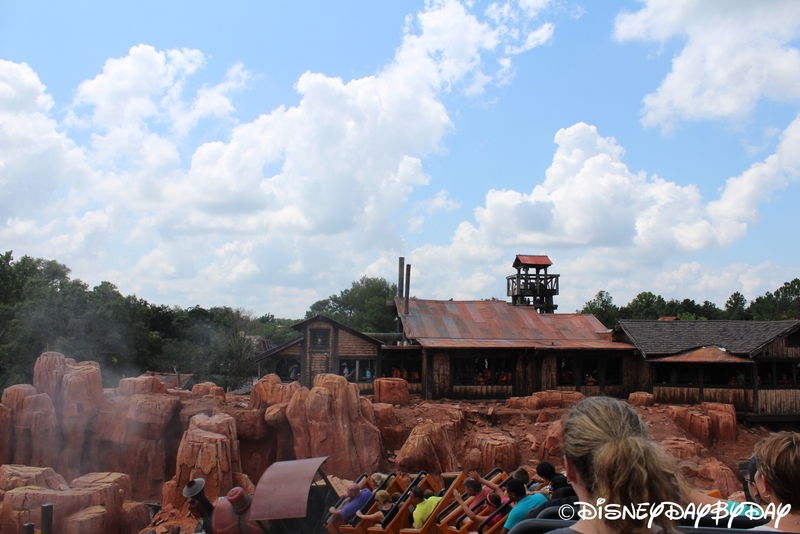 Originally conceived for the Western River Expedition section of the park which was never built, Big Thunder Mountain sits on 2.5 acres in Frontierland. 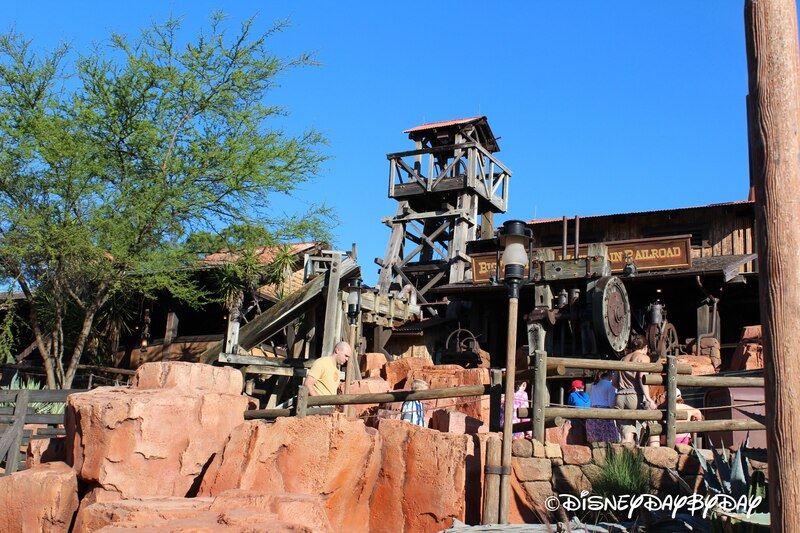 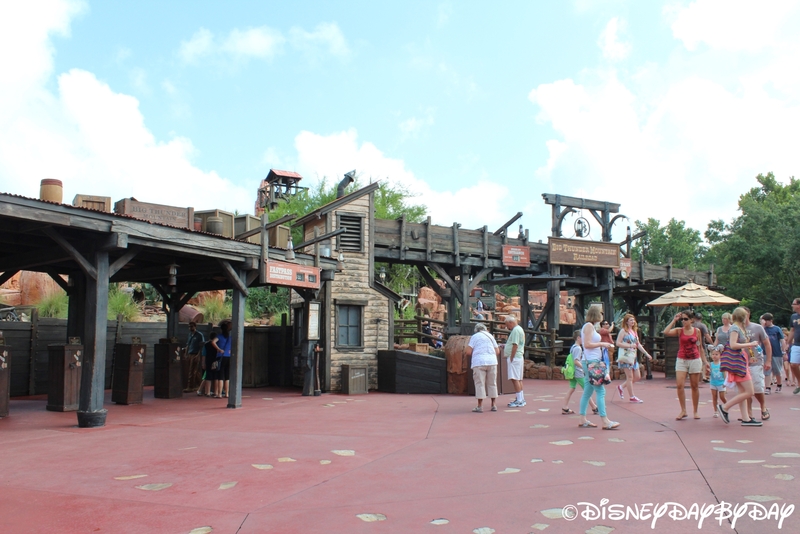 As you climb the hill and traverse the queue, notice all the old mining equipment. The queue itself is well-detailed and gives you a great view of the ride, and what you’ve gotten yourself into. 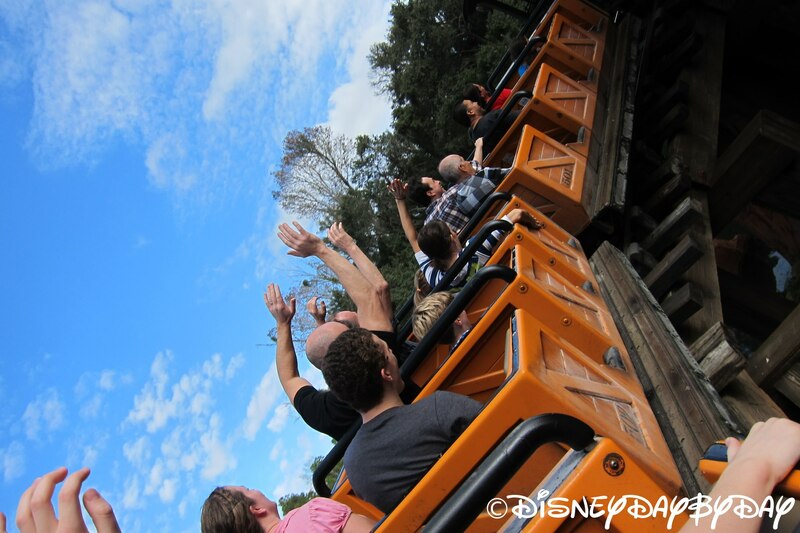 Lookin’ pretty wild, isn’t it? 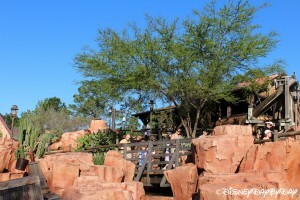 As you descend the ramps you’ll notice 2 lines. 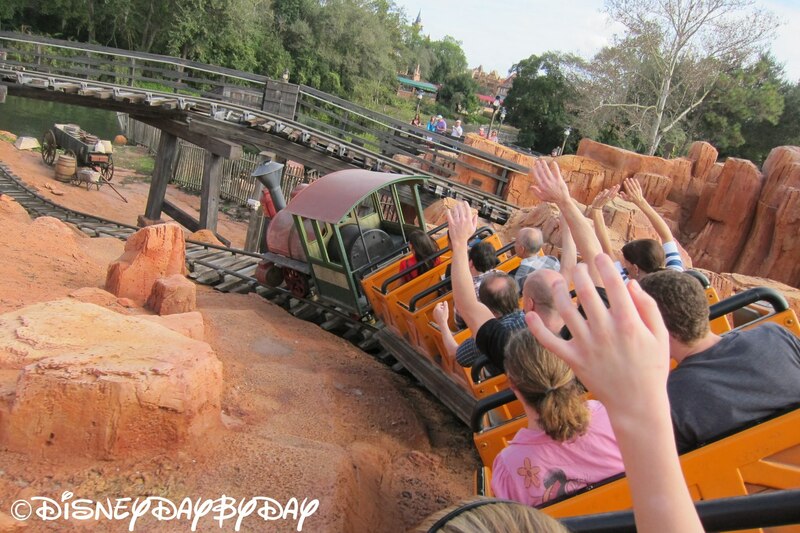 If one is moving it doesn’t mean it’s shorter. 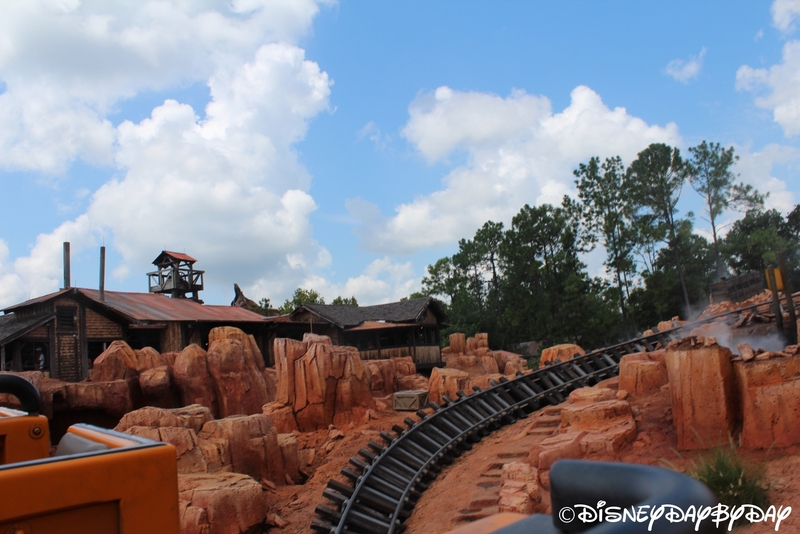 As the trains come in they alternate sides, and alternate lines. 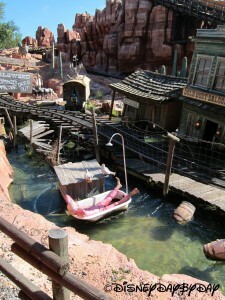 Sorta like traffic, pick a lane and stay in it. 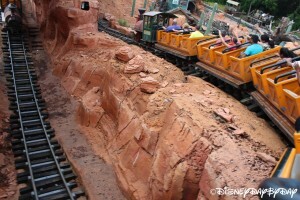 After boarding the train cars you will make a sharp left into a dark tunnel (for those afraid of the dark, it doesn’t last long) where your train will start ascending a hill. 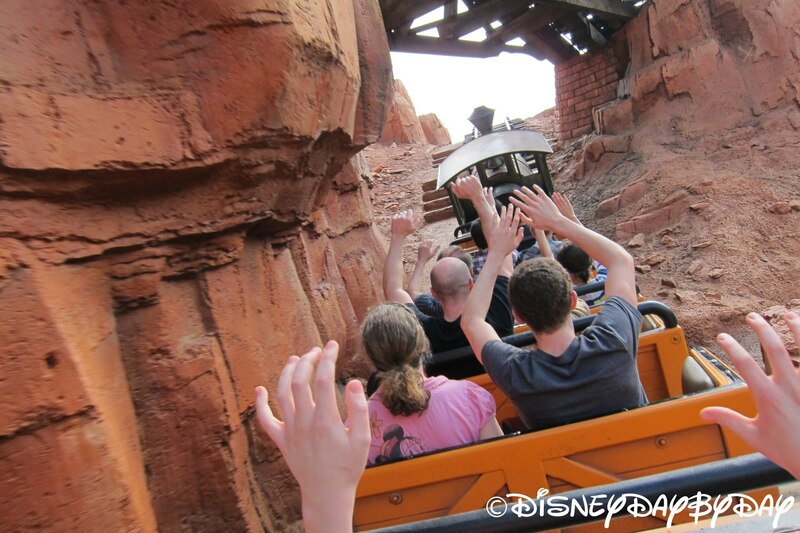 The mechanism used to pull the cart upward is very loud so younger riders may want to cover their ears. There are no loops, but the train twists and turns as you head through rockwork based on the buttes in Utah and Arizona. As you pass through the town of Tumbleweed look out for its last remaining resident as he spins in his bathtub. I told you it was wild! 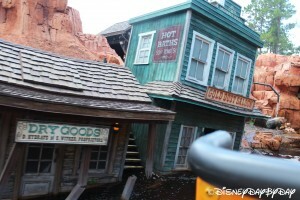 And make sure to check for a hidden Mickey made out of gear wheels toward the end of the ride. 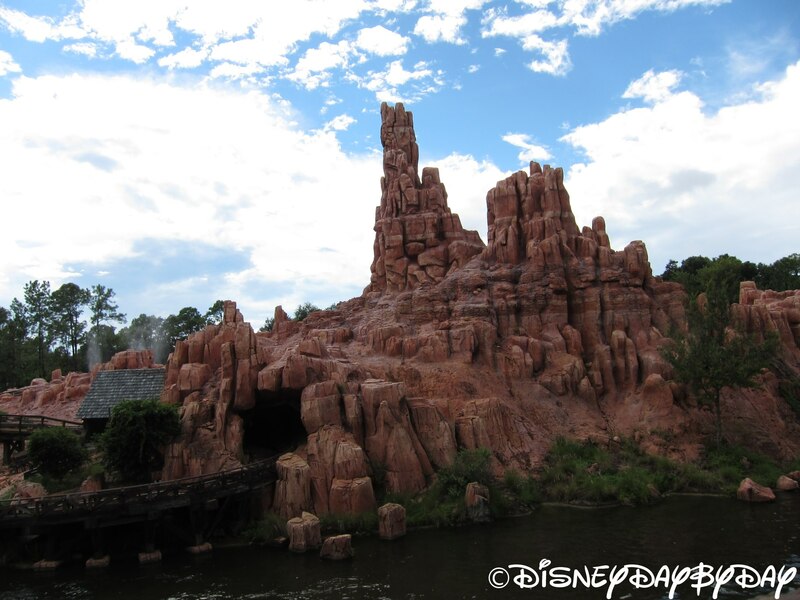 Because it’s not as suspenseful and dark as Space Mountain, nor as fast and loopy as Rockin Roller Coaster, Big Thunder Mountain is the perfect roller coaster for kids and young pre-teens who might be leery of the other larger coasters. In fact it’s our nine year old son’s favorite roller coaster. 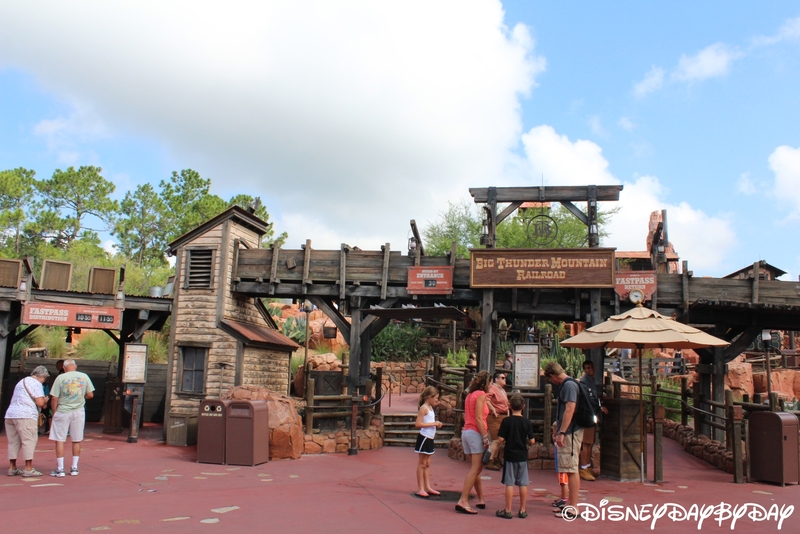 Lines can get long, and in the heat of summer the lack of shade can be brutal, so make sure to use a fast pass if the line is longer than thirty minutes. 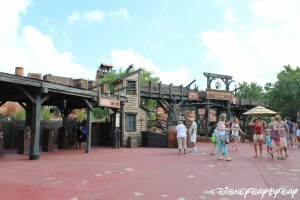 While you’re waiting for your fast pass to kick in, head to Splash Mountain, Tom Sawyer Island, or even into Adventureland and Pirates of the Carribean! 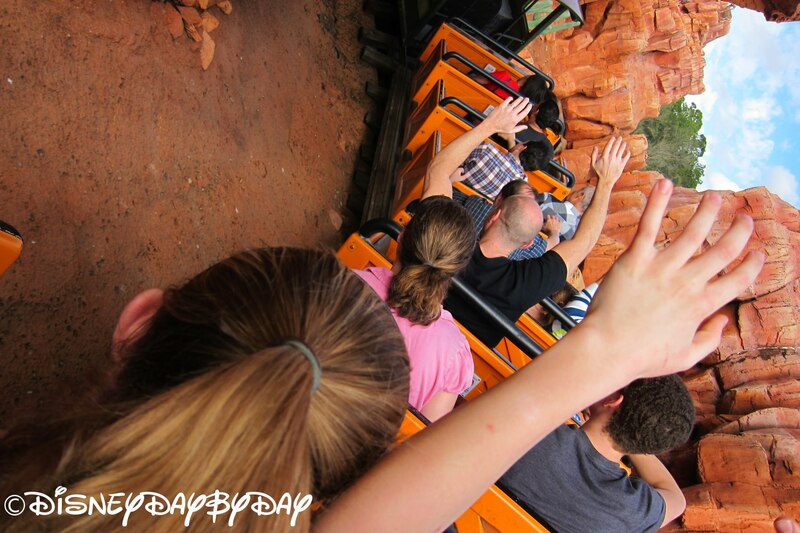 Overall, Big Thunder is a great ride for adults and kids, and even more exciting at night during the fireworks! Who wouldn’t’ want to experience the wildest ride in the wilderness?